The Monarch Mouse is a breed of mouse found in the Seasonal Garden during the Summer Season. It is not known to drop any loot. Without any real powers to play with, the Monarch Mouse decided to improvise in order to fit in with its transformed comrades. It pilfered materials from nearby hunters, acquired wings from a butterfly using methods better left un-described, and transformed itself into the self-proclaimed ruler of the insects. So far, its attempts to herd beetles have proved unsuccessful, but the padding on its costume does absorb the impact from some traps. The Monarch Mouse has no specific preference for any kind of cheese. Tactical traps are very effective against the Monarch Mouse. 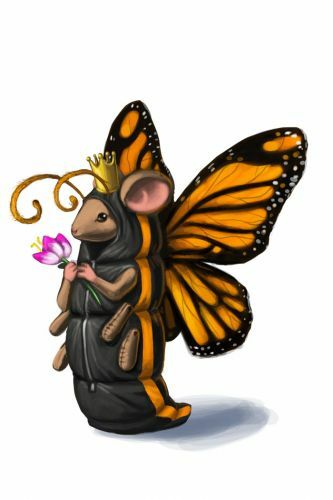 17 August 2010: The Monarch Mouse was introduced with the release of the Seasonal Garden location. This page was last edited on 8 February 2016, at 22:24.